Scottsdale, Arizona – It took four extra holes against Webb Simpson in a playoff but Hideki Matsuyama prevailed at the 17th hole, and in doing so defended his title at the most rowdy setting in golf at TPC Scottsdale. His final round 66 included 3 birdies and an eagle at the the par-5 third hole. Matsuyama reached 17 under par with a clean bogey free final round, and now the 24 year old star from Japan has won for the fifth time in nine worldwide starts at Waste Management Phoenix Open. Matsuyama is so dominant from a ball-striking stand point, these stats from the PGA Tour tell the story – nearly 97% of his strokes gained at TPC Scottsdale came from his tee-to green performance where he dominated the field by a whopping +3.304 per round. The field average was 5 under par on the par-5’s, Hideki was 11 under par on the par-5’s for the week. Crowd favorite Phil Mickelson surged early on reaching 14 under par with a front nine 31, but faded coming in to finish with a back nine 40 (71) to end up tied for 16th (at 10 under par). 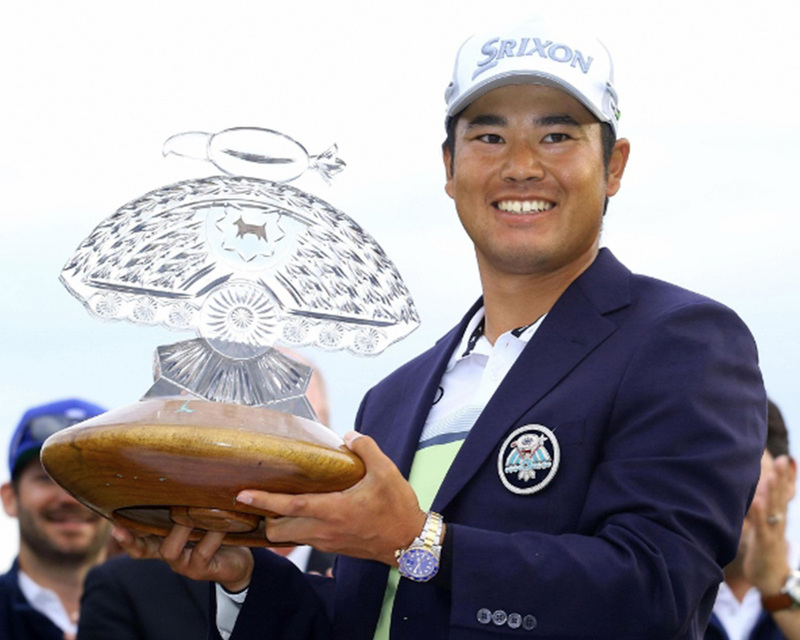 The win was Matsuyama’s fourth PGA Tour title and now moves him into the lead in the Fedex Cup standings, (last weeks points leader Justin Thomas missed the cut in Phoenix). 54 hole leader Byeong Hun An shot a final round 73 to finish tied for 6th at 14 under par.